That special time was on us again. The famous RBRR. I had been looking forward to this event for some time, although a few last minute issues with the car saw me preparing another one as back up just in case! 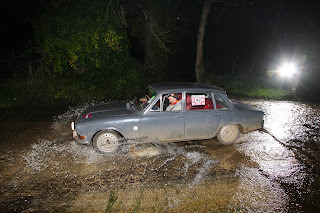 The Mk1 Pi was the weapon of choice and after some last minute metering unit tuning by co-driver Dave Harvey we were set and all ready to go. 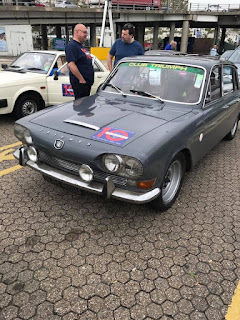 We met up at a Tesco superstore at Knebworth and after discovering that they didn't have a café, resorted to a nearby carvery for a good roast dinner before our drive through the night. Disaster struck when we were waved off as Richards car decided it didn't want to go and broke down with fuel supply issues before even leaving Knebworth! Frantic efforts were made to get it running, but after an hour we had to admit defeat. Luckily Dave Maton had brought his Mk1 to Knebworth to meet Richard, so they swapped all the tools and spares over into Dave' car while we shot off to try and persuade the marshals at the first control at Wetherby to stay open and wait for them. As we were now an hour behind right from the start, we pushed on up to Wetherby and made good time. By the time we had finished our coffee, Richard & Dave had caught us up too. We were now running right at the back of the pack, so time was tight. We persevered, but the rain and dismal conditions were holding us back. We just about made the next control at Carter Bar before it closed and quickly got the book signed before heading off to Knockhill Race circuit. An added issue was that my brake lights had now packed up and the plastic switch fell apart while under investigation! I went in front and used the walky talky that Richard had brought to warn them of when I was braking. Knockhill was a welcome sight and luckily I managed to borrow a brake light switch to resolve my issue. The long drive up the A9 to Inveness was the next stretch with no chance of playing catch up due to the boring 60 mph speed limit and all the average speed cameras. Skiach came and went, but a welcome coffee saw us through to John O'Groats. A good breakfast saw us all refreshed and then it was back to Skiach again for the next stop. We had a bit of time to play with here , so work started on Dave Matons car which had developed a misfire through the small hours. Thinking he had cured the problem, we set off again, but had to stop two or three times to try and improve the running. Needless to say, after catching up well, we were now falling behind again. The run through Scotland was beautiful as ever although the rain did rear its ugly head once or twice. A quick coffee saw us head down to Tebay where a hot meal in the restaurant was enjoyed. 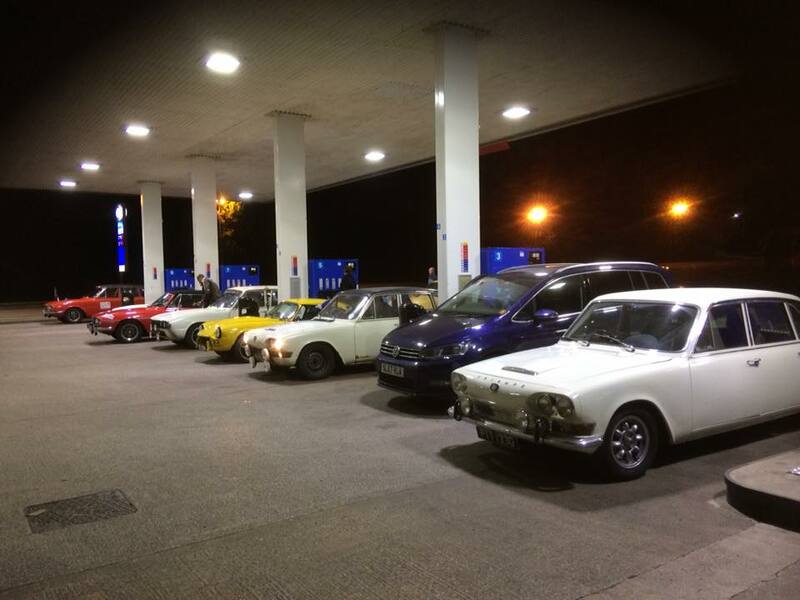 Dave took the opportunity to take a pic of the petrol pumps with only one modern car on the pumps to spoil the view! Gledrid, Monmouth and Okehampton controls were crossed off the list with just a quick stop at Okehampton to change my front offside sidelight bulb. Dave's car still wasn't running right, but he was putting up with it rather than work in the dark. Lands End was a welcome sight although the queue for breakfast wasn't. If we had known how long it was going to take, we would have skipped it and just carried on. Bude Castle saw Dave changing the coil in a bid to improve matters but that proved just as fruitless as everything else that he'd tried. 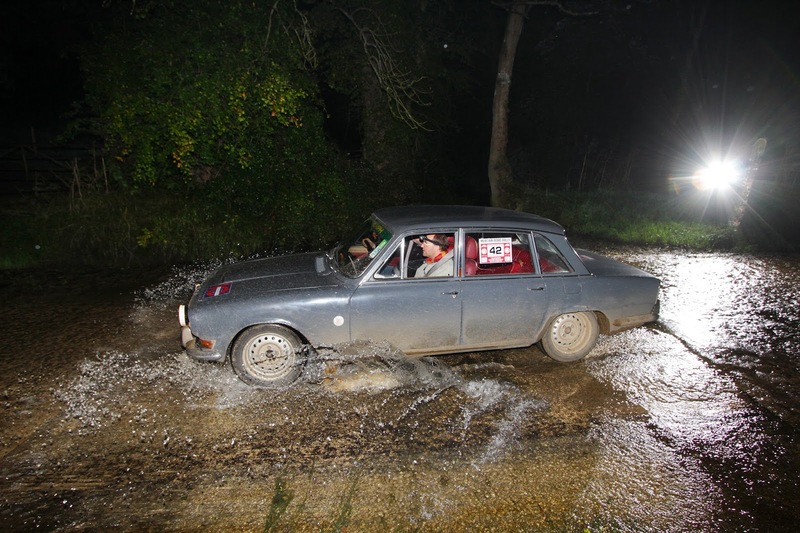 We made Pimperne just before closing time, but then had the long drive up to Brackley for the penultimate checkpoint. By now dusk was falling and we were all becoming quite tired. The control was a quick stop & go with the desire to get to the finish now stronger than ever. Unfortunately,the drive across country to Knebworth wasn't pleasant and we arrived a lot later than we wanted to. Nevertheless, the event was fantastic as usual and despite the hiccups was enjoyed by all. As I write this Dave Maton has now finally sorted out all of the issues with his car. Considering it had had no preparation for the event at all, I thought it did bloody well despite its issues. Richards car was recovered to mine on the Monday after the event where it was fitted with a good second hand fuel tank. The issue? The tank had been treated with some fuel tank sealer, but for what ever reason hadn't taken or stuck to the metal, so it had pealed off like strips of old wall paper and blocked the outlet. 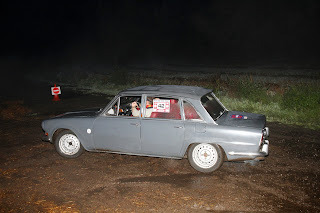 The Round Britain for me in the Pi was a great success with only the brake light switch and side bulb giving out. MPG wasn't too bad either and the car never missed a beat the whole trip. The only time we opened the bonnet was to check the oil and water. A brilliant event with great company and as usual, I cant wait for the next one. June 30th 2018. A nice little day trip........to Paignton! 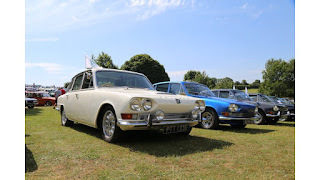 Saturday June 30th was the show day for the Triumph 2000 Register National Day at Whitehills Country Park in Paignton, Devon. Due to other commitments I couldn't spare a few days away, or even the whole weekend there, so I decided to just make a day of it. I know it's along way to go just for the day, but the event was celebrating 50 years of the Mk1 Pi and the organisers wanted to try and get as many there as possible. So, seeing as I own a Mk1 Pi, I thought I would make the effort. Richard Warr decided he fancied going so he came down on the Friday night and stayed at mine. We settled for a curry with just a couple of beers knowing we had an early start the next morning. We left my house at Leigh On Sea, Essex at the ungodly hour of 4.40am and after a quick top up of fuel were soon on our way. 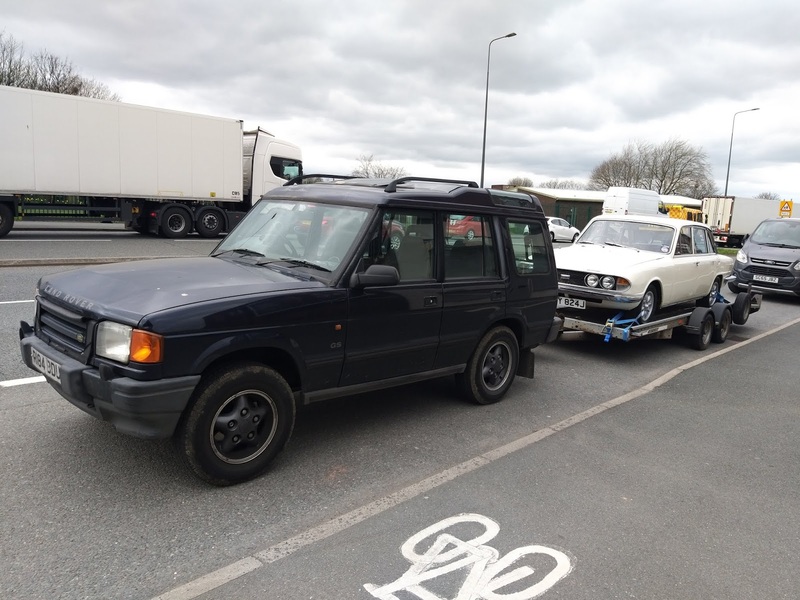 We did plan to knock a good chunk off the journey before stopping for breakfast, but we were having such a good drive in the sunshine and before we knew it, we were pulling up on the site at Paignton at 9am. We received a warm welcome from club officials and were given pride of place on the front row where the Mk1 Pi's were to be lined up. Breakfast was next on the agenda and very good it was too. Lots of cars were starting to arrive and we both enjoyed meeting people we hadn't seen for a while. 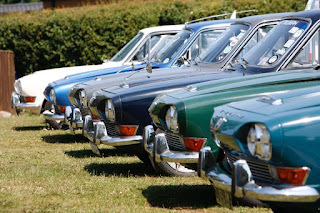 There were some beautiful cars there and some very original Mk1 Pi's as well. The weather was absolutely glorious and it was a fantastic day all told. I think in total there were over 80 cars in attendance and an unbelievable 14 Mk1 Pi's. 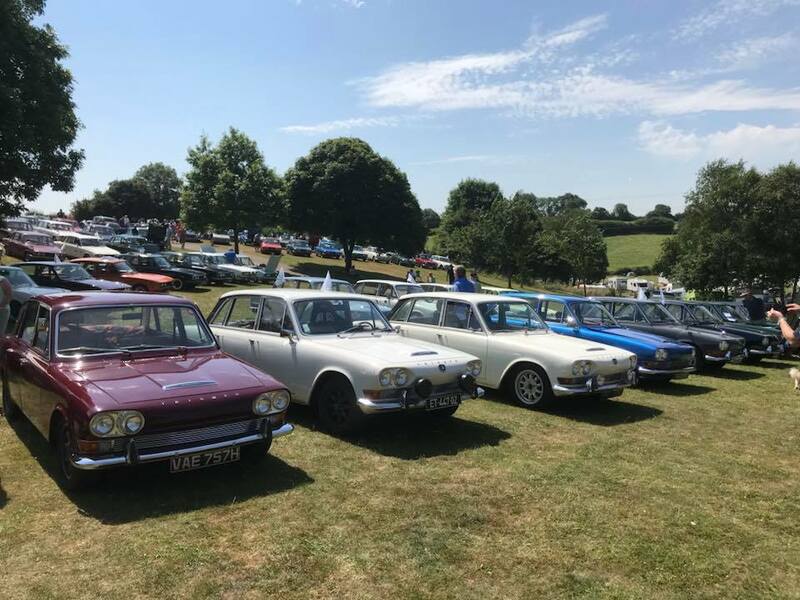 I said to Richard that this event was worth coming to as this would probably be the last time we will ever see that many Mk1 Pi's all in one place. The round trip was 488 miles in total and we reckon we had used approximately £90 to £100 in fuel. Not too bad considering we hadn't exactly been hanging about. I'd decided to use 'Bluey', for this event. The car that had been off the road since 1999. It had already taken part in a Chelmsford Motor Club night rally recently, but that was only about 100 miles including going to and from the start, but this was the big one to test reliability. So, loaded with some tools and a few spares I set out on Saturday morning to collect Dave Maton from Cheshunt before starting the long journey up to Anglesey. I spoke too soon. We were on the M6 Toll road when the fan belt decided to let go. To be fair this was my fault really, I'd refurbished most things on the car since its rude awakening form it's barn, but the one thing I'd overlooked was the fan belt. Luckily I had a spare in the boot, so within 10 minutes we were on our way again. The day continued to be glorious and we arrived at the start location (Anglesey Race Circuit) at around 5pm with 329 miles showing on the clock. After a good catch up with people not seen for a while and a cracking dinner of fish, chips and peas were allowed to do 2 laps of the circuit before heading even further west to fill up with fuel at Holyhead. We had decided to run as a two car team with Richard Warr and Enzo who were in a similar car to us. 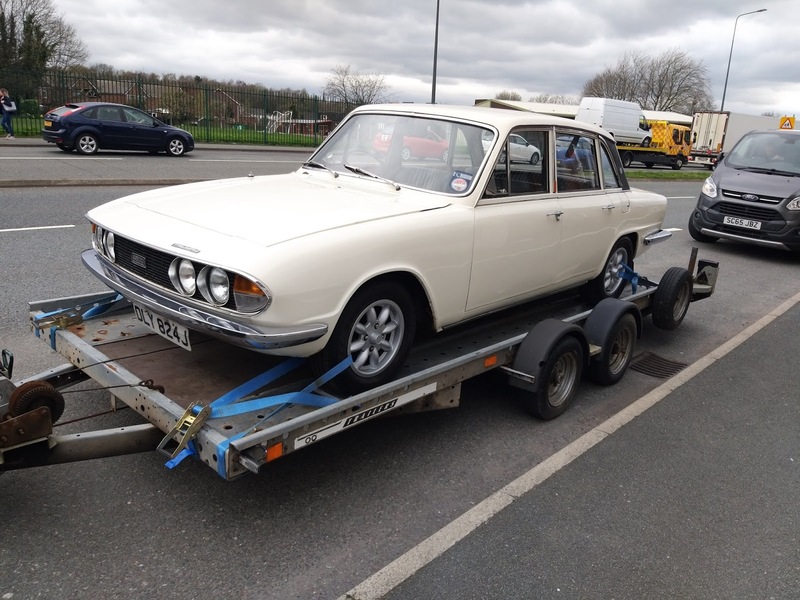 (Mk1 2000 Saloon) With fuel tanks brimmed we started heading back East before following a route around Snowdon and over towards Wrexham on some fantastic driving roads. As this was the first big run out for my car we had been using it as a test best to do some fine tuning on the carbs and timing. It was around Manchester about Midnight that we decided to completely start again with the carbs and reset the jets in a well lit petrol station. (Not the one above, the light was rubbish in that one!) Once this was done and the ignition timing retarded just a fraction the car was running absolutely beautiful and Dave Maton was lucky enough to enjoy a fantastic drive over Snake Pass and down to the halfway stage at Tibshelf services on the M1. We had a fantastic drive across the A47 from Peterborough up towards Kings Lynn and Wisbech, but then realised at this point that we were quite far behind the rest of the pack. Both crews then made the decision to give the North Norfolk coast road a miss and have a slow leisurely run to the finish. After all, these runs are supposed to be leisurely and to be enjoyed. There's no point chasing and getting stressed out with trying to keep up with schedule. We then had a thoroughly enjoyable drive watching the sun come up and we finally reached the final location at Southwold in Suffolk. Lot's of crews had made it and we were met by friendly restaurant staff and a welcome hot breakfast. From door to door, the mileage covered was 841. Quite impressive for a car that had been laid up for so many years. Roll on the next event! As a follow on from my last post, work continued on my 1967 Mk1 and I replaced the two bottom ball joints, one track rod end and bought a new exhaust centre section and downpipe. With all of these fitted I decided to go ahead and book the MOT. Saturday 5th August at 4pm was the impending appointment and after completing some small niggly jobs in the morning, (Interior light and panel lights not working) I was ready for my journey that afternoon. I have to confess I was a little wary as when I went to replace the thermostat the night before, I had found that there wasn't one in there to begin with! So I fitted my new one anyway. Also, not knowing the history of this car, I wondered if it was hiding any issues not addressed by the previous owners. In my experience with these 'barn finds', people do not just park up and store perfectly good usable cars. There is normally something not right with them that enforced the cars lay up in the first place. 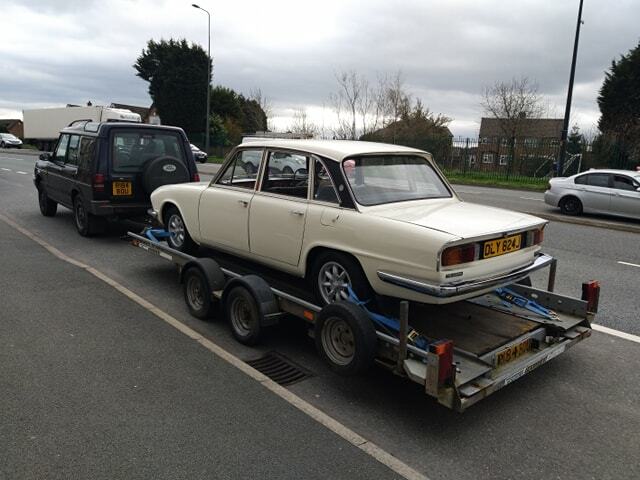 Anyway, After playing 'musical cars' so I could get this one out of the garage I set off for MOT and hoped for the best. All seemed well first of all and the car was running well. My preferred garage is eight miles away so the car would be getting its first good run for many a year. The temperature gauge climbed slowly to the half way mark.........but then unfortunately kept climbing. At the three quarter mark I decided to pull over and check it, but the next turn off on the dual carriageway was still a few miles away. By the time I did manage to pull over (Only a mile away from the MOT station) it was boiling over big time and the pressure had even blown the lid off of the expansion bottle! I phoned the garage and cancelled the MOT, let the car cool right down, topped up with water and drove back home without the radiator cap on. Feeling quite disappointed after all of the hard work I'd done in a relatively short period, I just parked the car up and left it until the Sunday morning. The following day I removed the radiator and compared it to a spare one that I had been given some time ago. The one from the car was considerably heavier than the spare so I worked on the assumption that it was a blocked radiator that was causing the problem rather than a blown head gasket or worse. On fitting the spare I found that this leaked, (that'll be why I was given it for nothing then!) but even with me topping the water up and running the car for 15 mins at 2000 revs it never overheated and the temperature gauge never mover past the quarter mark. So the situation looked promising. I managed to borrow another radiator from a mate and did more testing on the Wednesday evening which again saw no issues with the cooling. So, Thursday 10th August, I re-booked the MOT and dropped it into the garage late morning. I'd still heard nothing by 3pm, so me being of the impatient sort decided to have a quick look online. To my relief and joy it had passed its first MOT in 18 years! Graham, the guy who I bought the car off of was quite chuffed as well as he'd wanted to see it back on the road and being used. He told me 'you've done more to that car in two weeks than I did in two years'. So now it has an Mot, I can start getting a bit of use out of it. It needs a bit more t-cutting and polishing and then I think it will start looking quite presentable.